A recent post on the GOAL mailing list by Heather Morrison alerted me to the following sneaky aspect of Elsevier’s “open access” publishing practices. To put it simply, Elsevier have distorted the widely recognized concept of open access, in which authors retain copyright in their work and give others permission to reuse it, and where publishers are a vehicle authors use to distribute their work, into “Elsevier access” in which Elsevier, and not authors, retain all rights not granted by the license. As a result, despite highlighting the “fact” that authors retain copyright, they have ceded all decisions about how their work is used, if and when to pursue legal action for misuse of their work and, crucially, if they use a non-commercial license they are making Elsevier is the sole beneficiary of commercial reuse of their “open access” content. 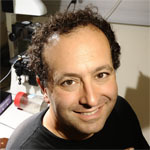 For some historical context, when PLOS and BioMed Central launched open access journals over a decade ago, they adopted the use of Creative Commons licenses in which authors retain copyright in their work, but grant in advance the right for others to republish and use that work subject to restrictions that differ according to the license used. PLOS and BMC and most true open access publishers use the CC-BY license, whose only condition is that any reuse must be accompanied by proper attribution. When PLOS, BioMed Central and other true open access publishers began to enjoy financial success, established subscription publishers like Elsevier began to see a business opportunity in open access publishing, and began offering a variety of “open access” options, where authors pay an article-processing charge in order to make their work available under one of several licenses. The license choices at Elsevier include CC-BY, but also CC-BY-NC (which does not allow commercial reuse) and a bespoke Elsevier license that is even more limiting (nobody else can reuse or redistribute these works). At PLOS, authors do not need to transfer any rights to the publisher, since the agreement of authors to license their work under CC-BY grants PLOS (and anyone else) all the rights they need to publish the work. However, this is not true with more restrictive licenses like CC-BY-NC, which, by itself, does not give Elsevier the right to publish works. Thus, Elsevier if either CC-BY-NC or Elsevier’s own license are used, the authors have to grant publishing rights to Elsevier. Authors sign an exclusive license agreement, where authors have copyright but license exclusive rights in their article to the publisher**. **This includes the right for the publisher to make and authorize commercial use, please see “Rights granted to Elsevier” for more details. (Text from Elsevier’s page on Copyright). This is not a subtle distinction. Elsevier and other publishers that offer it routinely push CC-BY-NC to authors under the premise that they don’t want to allow people to use their work for commercial purposes without their permission. Normally this would be the case with a work licensed under CC-BY-NC. But because exclusive rights to publish works licensed with CC-BY-NC are transferred to Elsevier, the company, and not the authors, are the ones who determine what commercial reuse is permissible. And, of course, it is Elsevier who profit from granting these rights. It’s bad enough that Elsevier plays on misplaced fears of commercial reuse to convince authors not to grant the right to commercial reuse, which violates the spirit and goals of open access. But to convince people that they should retain the right to veto commercial reuses of their work, and then seize all those rights for themselves, is despicable. I agree that scientists are poorly educated over the toxic nature of non-commercial stipulations. If something has a NC stipulation, it’s not open, in that it doesn’t meet the open definition of knowledge which forbids discriminating against certain classes of users. As an author, it’s important to refrain from transferring any exclusive rights or copyright ownership to publishers. To do so would be negligent when these publishers have an established history of preventing the free flow of information from publicly funded research. In the coming years, I think we’ll also see that it’s negligent to grant Universities exclusive intellectual property ownership. P.S. it’s CC BY and CC BY-NC not CC-BY and CC-BY-NC. More to the point: thanks, Mike, for spelling out this particular form of deception and exploitation. Elsevier is not seeking somehow to “trick” its authors. As you say, our author agreements and details of our approach to copyright and Open Access are all set out for authors, critics and anyone else who is interested to read them on our website at http://www.elsevier.com/copyright which links to our license page at https://www.elsevier.com/about/company-information/policies/open-access-licenses. These are not new. You will see from these pages that the two end user licenses currently offered by Elsevier for Gold Open Access publishing are the CC BY license and the CC BY-NC-ND license. Also the bespoke Elsevier license that you mention is not in fact used for Gold Open Access content. It is used for subscription content (from a number of journals) that Elsevier chooses to make available to everyone (and not just subscribers) to read and download as part of its Open Archive after an embargo period.